Just like what I did with my previous informative blogs about Bangkok, I am dedicating a page to my recent topic about Bangkok Shopping Malls for easy location and referencing for interested individuals. If you’re a moderate-to-marginally frantic shopaholic just like myself, chances are you have vigorously scoured clean the numerous shopping malls of Bangkok. Most repeat visitors to the Land of Smiles never fail to check out a good number of its scattered shopping havens in each trip. But for those who have not been to Thailand’s capital or are scheduled to fly within the next few months, then here is a quick guideline to the same should you be interested in checking them out or simply window shopping for comparison. I will divide them into high-end, mid-range, and low-to-mid range for easy classification. Central World which has been a work-in-progress for many years now. Erawan Center is high end but compromises with a good food court downstairs. Platinum Fashion Mall is the place where bargaining is an art. This is where the list ends and since I focused only on shopping malls, I did not include places like Chatuchak Weekend Market, Chinatown, Suan Lum Night Bazaar and Patpong Night Market anymore. I also intentionally did away with malls outside the touristy areas (like those in Bangkapi, Ramkamhaeng, Srinakarin, etc.) because they are not convenient to skytrain or subway routes. 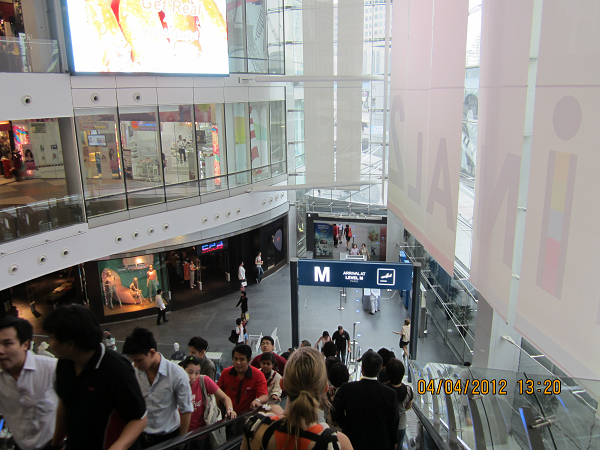 So if you’re ready to shop to your heart’s delight in Bangkok’s air-conditioned shopping places, then ready, get set, GO! but can you find bikini shop in bngkok from the good kind? Try Siam Center beside Sian Paragon. Hello, do you know where to find the best wholesale website to order online directly in Thailand ? Something easy and in English please. Thank you. I have to ask around first. hi norman, can u please help me where i can buy cheap medicines in bulk in bangkok? or somelike of a wholesaler type. im planning to purchase in bulk and bring to phils. Hi, I do not trust the “famous sellers” now, I really prefer to buy everything from Thailand now, this is where I buy my stuff, for $20 “Personal Shopper Bangkok” (Google it I don’t have the exact link) will go shopping for you (anything), cheap and good, I would love to find the same cheap service in Paris or New York !!! Hi norman,is there any mall in bangkok like greenhills? Personal shopper Bangkok is a scam. I paid 1000bht but never got a reply or any goods. They have been going around posting fake reviews about themselves. Just Google this fake review and you will see the same comments on other Blogs but with different names on the post. Their website on scamadvisor is registered in US and anonymous. . AVOID. I really enjoy your blog post and planning to go there on early of July. Do u hv any suggestion for travel agent that trustable and do u know where is the best place to get cheaper shopping on baby clothes? Would love to buy abundle and how to courier back to kl aite? Maria, as far as hotel booking goes, I trust sawadee.com which you can click on the side part of my blog’s home page. While there, the group also has an off-site branch at Chitlom station of the skytrain for other related bookings which may come at a short notice or while vacationing there. Thank you Norman. U’ve been so helpful n do u hv any acc in fb which I cn add u as a friend? Have to agree with Norman (excellent blog by the way) so much great info here! Yes Grand Palace is an absolute must, and don’t forget the teak house next door – go early to ensure you have enough time for both. I’m going to BKK by the end of the month and your blog is very helpful. Do you know where the stalls in Greenhills get their stuff there? Also, I would like to ask if tipping is necessary in Thailand. Thanks! Hi Norman! You’re blog is very informative. I am planning to visit Bangkok this May. Do you know any budget-friendly hotel near the airport? It’s gonna my first time travelling abroad so I am worried about the immigration process. I am gonna be travelling alone too, and that makes me more anxious. Are there any requirements that I need to prepare before hand? Thanks. For reasonable accommodations near Suvarnabhumi Airport, check out Sinsuvarn Airport Hotel, Rafael Mansion Bangkok Airport or Plai Garden Boutique Guesthouse. All three are less than 3 kms. from the airport. Wow this blog really led me into the malls with ease, Thanks a ton Norman,, would you have any idea to suggest me about good Resorts or restaurants ? I found few sites like http://www.bangkokin360.com/virtualtour/ which has a lot of information on it, but do you have any good choices of your own that you can share , I mean your personal favourites? Restaurants, I can help you with, John. At Central World, check out Thasiam Gold on the Atrium area and See Fah Thai-Chinese resto on the 3rd floor old wing. There is also the very reliable Nara on the basement of Erawan Mall fronting the Erawan Shrine beside Grand Hyatt. For a quick fix of Thai-infused ramen, Hachiban has branches in just about every mall. And for a really cheap but delish array of authentic dishes, the food courts of MBK, Platinum Mall and even Siam Paragon should be visited. But truth be told, Thai street food is still the best! The options are endless and the food is served piping hot. Norman, thats like a quickest reply ever on a blog. Kudos to u mate. So when you say speak to the concierge, meaning they will organise it all for us? really? And I also wanted to ask if you can recommend a good massage parlour around lebua. We are sincerly looking at fun. A friend suggested J-one and said they offer really special services, however its located at sukhumvit. Something similar to that near lebua? My friends and I are visiting bangkok in 2 weeks for my bachelor party. Need some tips to make sure we go crazy. We are put up at Lebua at state tower. Please do not assume we would be ready to spend anything just coz we r put up at lebua. Friend is a big fan of hangover 2 so had to make it happen. Anyways, we would like to do a cliche with the bachelors night but dont have any idea as whether we will be able to. Like call a few strippers, everyone has fun and then ofcourse the to be groom takes the cake. So tips please. Appreciate it. Good to know lot of stuff through this blog! Really enjoyed reading it, I am planning to vist in the month of Dec 2012 single male, I need to few things where I can stay within $50 aud as well I am interested in nightlife, shopping cloths, shopping electronic items and some branded products!!!! Srini, thanks for dropping by. About your queries, my advise is for you to stay in the Sukhumvit area where good nightlife and shopping is within a walkable radius. 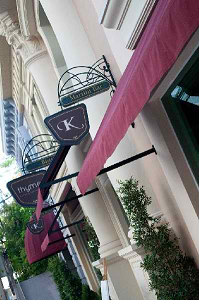 Try staying at Kingston Suites, The Key or Legacy Express. For electronics, you can just schedule one day to visit Pantip Plaza in Pratunam where you can satisfy all your electronic needs. For name brands, visit Terminal 21, Siam Paragon and Central World. Enjoy! Great, Spa 1930 it is then :-). Many Thanks ! Many Thanks for the prompt and very useful revert Norman :-). Also just came across Lek Massage Centre, which I note is across the gate from Novotel Siam, where we will be putting up for 2 nights on our return as well. Worth a visit ? Hi Norman, you have a fab blog going, and really do appreciate your efforts in addressing all the many queries. Have a quick question myself – would you have ideas on good midrange spa’s for good massages around the Siam Square area please ? (Staying at the Four Season’s). Want to stay clear of ones that might have any shady back door business, but don’t want to pay five star prices either. By the way, your group will love (cheap) shopping at Platinum Mall. great reviews Norman, must have taken some work to compile all those great pics and a few there i didnt know about. good work! Really appreciate that you are always so helpful. I heard of the “Heart Land” chain of massage parlour. Would you know which branch is nearest to Citin and which skytrain station I should be looking out for. It’s Health Land Spa. There are two branches that are marginally close, but that’s not saying a lot if you’re coming from the Citin/Pratunam area. One is Health Land Asoke. Ride the skytrain at Chitlom station and get off at Asoke station. From there, you need to walk along Asoke and turn left at Soi 1. You will see the place on your right. The other one is Health Land Sathorn which can be a bit more tricky to get to by skytrain. It is best to ride the skytrain at Siam Center ( which is a longer walk from Pratunam) then take the train coming from National Stadium and get off at Chong Nonsi station. From there, you’ll need to walk to the corner of Sathorn, turn right, walk some more until you find Health Land on your right. Both branches are not the easiest to locate on foot, but the one at Asoke should be more manageable in your case. I would go to this address more than the one in Sathorn, coming from Pratunam that is. And should you opt for a taxi, the Asoke branch is relatively closer if you hail a cab in front of Amari Watergate Hotel (Petchburi Rd.) and in the direction the vehicle is facing, ask the driver to bring you to Asoke where he should turn right, moving along until the corner of Soi 1. From there, you can just walk to Health Land. Is Nara restaruant at Erawan near to the Great Hyatt hotel? Any skytrain to go there? Is it walkable from Citin? From the map, it looks close. Nara is at the basement of that high end Erawan mall beside Hyatt. Dont be deceived by the map. Its not always accurate. But just to make the walk less tedious, make a quick pit stop at Big C then proceed to Nara from there. The food will be worth the hike, specially the grilled giant prawns in spicy vegetable salad and rice. The place is right beside Chitlom skytrain station which is already one of two nearest stops to Pratunam. From Citin, that would be a 1.2km walk more or less. Could you pse recommend me a dinner cruise? I prefer the “junk” type not the kind with buffet. What is the rough cost for each? Ty Norman for your prompt reply. Is Citin Pratunam far from Baiyoke Sky Hotel? Does The Thanying Restaurant in Bangkok serve authentic Thai food? and how is the pricing? My name is Paolo who is Thai and lives in Bangkok. On behalf of Thais , I have to say “Kob Khun” to many things you’ve done in this blog. Very goooood information and all correctly. I found your blog by random via google.com. I just want to know the opinion of foreigners thinking about my country. R U half Thai by the way? Finally, Thailand Ambassador goes to you. Bravo! hi! im planning to go to bangkok this year, can u suggest me where hotel can i stay, im bringing my 3 yrs old son with me, all i want to do is to go shopping & buy some stuff to sell, any hotel that near any shopping mall, so no need to ride a cab, i mean walking distance only & do you know any cargo or shipping company, that ships boxes from bangkok to manila philippines. Nope, i just short listed few hotels with a good rates. I really didnt have any idea about the location. Thanks a lot for your suggestions, we are now checking a good deal on the mentioned hotels by you. I know your blog is particulary on Bangkok, still I thought to check with you about the hotels at Phuket. Do you have any recommended hotels/locations for us? In Karon I would suggest the Hilton Arcadia or the Movenpick. Although you might consider the Karon Beach Resort in Kata as well. But given that you’re a couple, I would wholeheartedly recommend Indigo Pearl. I really liked your blog, very informative. We 2 (me & hubby) is planning to visit bangkok for the first time, could you plz share your comments on the hotels ‘All Season Gold Orchid’, ‘Bangkok Cha-Da’ or ‘Luxx XL’, ‘All Seasons Bangkok Siam’. Also it would be really helpful if you could suggest us few good hotels in a ‘good’ location. Thanks for reading my blog, Sethu. Ok, about your hotel selections, let me ask this first. Is there any place you want to be close to? I asked because all four choices are in relatively odd locations that are either off-center (Gold Orchid and Bangkok Cha-Da) or involving a good hike to the skytrain or sights (All Seasons Bangkok Siam and Luxx XL). I would assume that you would like to be conveniently located without spending an arm and a leg for accommodations, right? With that in mind, I am giving you four more options to consider, with rates varying from less than USD100 to roughly around USD100-110. Do check out the brand-new Novotel Bangkok Platinum in the Pratunam area, another brand-New hotel Holiday Inn Express Bangkok Siam near MBK, the no-frills Golden House (VIP House) in the Chitlom area & Erawan Shrine and the Ramada Hotel on Sukhumvit Soi 8. All are near the skytrain, lots of dining options and shopping galore. If you prefer a big hotel set-up, Arnoma Hotel fits the bill. My brother suggested I would possibly like this blog. He was once totally right. This put up actually made my day. You cann’t believe simply how so much time I had spent for this information! Thank you! 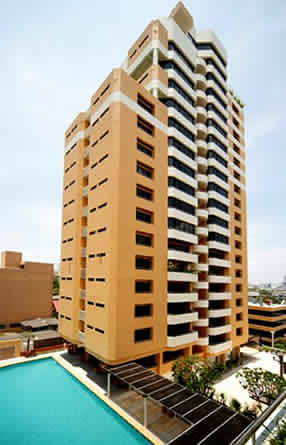 Hi tracy, check out Citin Pratunam Baiyoke Suites and First House Hotel. All 3 are walking distance to Platinum Mall. But if you want to be within a stone’s throw, there’s Grand Diamond Suites to consider. 1) Rosabieng Thai Restaurant on Sukhumvit Soi 11 – very authentic! 6) If you’re looking for one of the best Italian restos there, you can do no wrong with Zanotti’s on Soi Saladaeng (very near the Saladaeng Skytrain station on Silom Rd) right beside Saladaeng Colonnade. 7) How about the best food court option available? Head off to the 5th Floor of MBK Shopping Center where you’ll be spoilt for choice without breaking smaller bills in your wallet. As for the drinks, you must try either the Rooftop Bar of lebua at State Tower (at the very end of Silom Road) or Sirocco (rooftop of Banyan Tree Bangkok) where you can get a breathtaking view of the city at night, while sipping on a glass of tequila or vodka tonic. There is also the very metrosexual Bed Supperclub on Sukhumvit Soi 11 (right after President Palace Hotel) where the vibe is anything but traditional. Hotels – between Arnoma & Baiyoke, I would pick the former for sheer convenience, proximity to the skytrain & a location in the middle of malls. But if you want to push it further, Novotel Siam Square would be a haven for all of you. For your wife – if she’s looking for originals, Siam Paragon, Central World & Gaysorn Plaza would be the place to shop. Otherwise, Platinum Mall & MBK should do it. 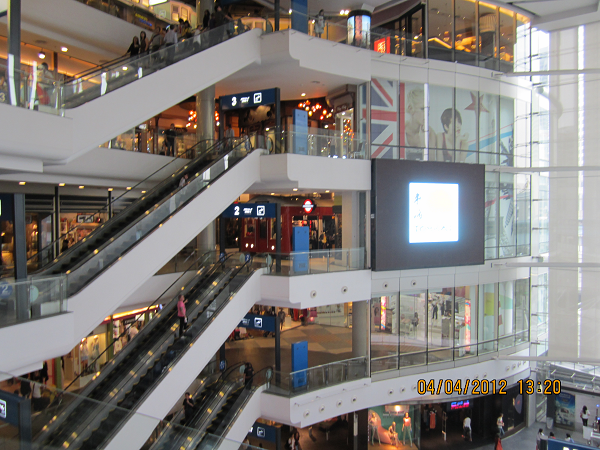 For your daughters – Siam Center (right beside Siam Paragon) is a must but the goods tend to be pricey. Alternatively, Platinum Mall, Siam Square (surrouding Novotel) & MBK are top picks for the young & trendy ones. For your son – a visit to Pantip IT Mall (just a couple of bldgs. away from Platinum Mall) is a must. This is the electronic hub in Bangkok. He can also check the ones at MBK but Pantip is as dedicated to all things techie as it gets. For you – if you guys stay at Arnoma, Big C is a next door neighbor and the food court in the higher floors is a safe bet to initiate your tummy to the authentic wonders of Thai food that we don’t normally see in Thai restos here in Manila. Beer can also be had. What’s more, the prices are so cheap you won’t mind the bill. On your visit to Central World (across Arnoma), treat the family to a nice Thai dinner at Taling Pling Gastrocafe on the 3rd level Atrium Zone (beside Bread Talk). That place is my current fave. hi norman, just emailed. thanks. Gee! you are amazing my friend! It takes a lot of energy to do this,being a Blogger, shop aholic,adventurous & jetsetter person rolled in one. You have shared some interesting facts that i truly enjoyed reading ,as they are very informative. Keep on rolling and Goodluck to you! Firstly, I am a single woman travelling to bangkok in feb 2011 and was wondering if its safe-i am precautious but are there any dos and donts? which area is good to stay? not a party animal at all so not interested in night life just needs to be safe and within budget. I am a die hard shopoholic and cant wait to fill my bags with goodies so this was a v. helpful read for me. I have been warned that bikinis , monokinis arent easily availiable for western woman-is that true? I am flying airasia so thought could pick my swim wear there. I am 115 pounds, 5’6′ so not fat but def not petite like thai women. I am a single woman travelling to bangkok in feb 2011 and was wondering if its safe-i am precautious but are there any dos and donts? which area is good to stay? not a party animal at all so not interested in night life just needs to be safe and within budget. Jane, you forgot to share your budget. Nonetheless, here goes…..Bangkok is a safe city. Of course, it goes without saying that any city in the world has its fair share of shady characters everywhere. But the Land of Smiles ranks in my book as one of the safest. Area-wise, it is best to stay in the Siam Square area – Bangkok’s shopping mecca. I’m not a party animal either so we share the same preferences in this regard. I suggest you look at Arnoma Hotel, Asia Hotel or Aphrodite Inn if your budget is under USD100/night. Other options are Krit Thai Mansion and Lub D Bangkok-Siam Square if you prefer to spend less than USD50 a night. Now, if you’re willing to shell out more than the above, I strongly recommend that you pick Novotel Siam Square or Holiday Inn Bangkok (Chitlom/Ploenchit). Any of these properties are close to the skytrain for easy navigation of the city. Not so many don’ts to share with you except that you ignore touts on the streets who are offering to bring you to jewelry shops or authentic Thai restos. Also, it’s much better if you can avoid using taxicabs because there is a tendency for some of them to drive you the long route instead of the quick one so that you end up with a high fare. As far as food is concerned, don’t fret about eating in food courts inside malls. They offer some of the cheapest and most authentic Thai dishes. Yum! I am a die hard shopoholic and cant wait to fill my bags with goodies so this was a v. helpful read for me. I have been warned that bikinis , monokinis arent easily availiable for western woman-is that true? Yes, you can still find swimwear your size in Bangkok. Go for a brand like BSC (Thailand’s own) which you can find in almost any department store like Central Chitlom, Siam Paragon and the like. Otherwise, you can visit Platinum Mall in Pratunam (walking distance from Arnoma Hotel and Aphrodite Inn) where a lot of generic-branded swimsuits can be bought. You may not be petite but your height and weight are still within the upper fringes of Asian size parameters (probably a Large or XL at most). Just be careful about buying too much because I know AirAsia has limited baggage allowance. A couple of hours or so at Platinum Mall or MBK is enough to accumulate 10kg of additional luggage. Hi Norman, just read your blog and really liked it and informative.I will follow you advise as first time visitor to Bangkok and shop at MBK Centre. I need some advice, Fristly i would really like to buy swim wear when i get to Bangkok befiore i travel to Phuket and i am a huge fan of AussieBum swim wear and was wondering if there are any stockist in Bangkok as i have searched every where online, alternatively i would buy from any local designer but do not know any names so if you can suggest some that would be great. Secondly i though it best to stay in Sukhumvit area however if you can suggest a really nice hotel then i might reconsider. I really liked the Amari Watergate but discovered they have no swimming pool.Also would really like the hotel to be close to gay areas aswell as MBK Centre. Lastly i heard that best place to stay in Phuket would be the Paradise complex as its close to gay area and beach etc. What hotel would you suggest? Please let me know as soon as you can as i will be in Bangkok in 4 weeks. Hey dayne, first of all, thanks for dropping by. If it’s going to be your first time in Bangkok (and Thailand in general), let me just say that you will have a fab time in the Land of Smiles. Swimwear-wise, I always shop for the BSC brand because they’re known for it. It is available in any of the leading department stores like Central, Siam Paragon, Zen and Emporium. About hotels, I would use Amari Watergate as benchmark in terms of your budget. If you want to be walking-distance-close to MBK as well, check out Siam@Siam Design Hotel & Spa. You will like this one – the concept and atmosphere are nice. On the other hand, if Sukhumvit floats your boat, I would suggest Phachara Suites on Soi 6. This is relatively brand new with very spacious units to boot. 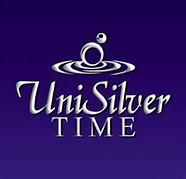 Their Studio Executive is value-for-money especially now that they have Super Saver Specials ongoing. But if you want to be in the middle of gay activity itself, head over to Silom and check out Bandara Suites. The bars in Silom and Surawong Roads are within arms’ reach but not too close so you can still maintain some privacy. By the way, all three hotels are Skytrain-friendly so moving around in the city won’t be a problem. In Phuket, Paradise Complex is indeed a good area to stay close to, but it can get crowded and noisy until the wee hours of the morning. If that doesn’t bother you a lot, then you can choose between Royal Paradise Hotel Phuket and Blue Dolphin Hotel. But if you want more privacy, there is the gay-owned CC Blooms Hotel and BYD Lofts. Hi! Thanks for the feedback on P2 boutique hotel.Can you help me on my itinerary.My husband and I will be there this July for 4 d/3n.What are the best places to visit for first time tourists in Bangkok.What are the places to avoid ?